We’ve built and sold a lot of homes over the past twenty-five years. John Davis, our CEO has been in the home-building business since 1993. 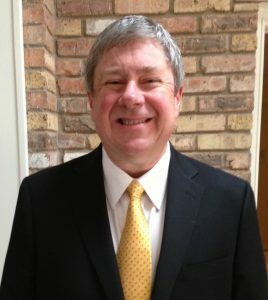 John has been in and around various aspects of the housing business for over 25 years. 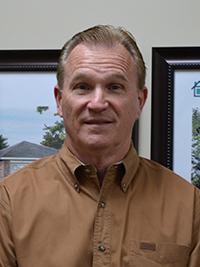 A graduate of the University of Alabama, John brings immense experience and leadership to John Hunter Home Builders. Professionally, John has started from scratch and built several successful businesses that employed hundreds of people. Additionally, he has acted in a Senior Leadership role in several other companies with extraordinarily positive results. The list includes Manufactured and Modular Homes, a highly successful REO company, Land development, and of course home building. Providing consistent leadership through vision and mentorship describes his professional approach. Currently, John and his wife own a successful landscaping company and another company that owns a large portfolio of single family rental homes. Personally, John is a committed family man with a strong Faith in God, following and supporting The University of Alabama athletic programs and a love for the outdoors. He has 3 wonderful children and a ranch where he spends time enjoying hunting, fishing, hosting outdoor ministry events and raising cattle. John believes in Honesty and Integrity in all things and never shies away from carrying that forward in his communication with others. Like John, Ray has been in and around various aspects of the housing business for 45 years. His career path was somewhat different than Johns in that he worked in senior leadership in a public, vertically integrated Manufactured and Modular home company for 35 years where the territory he was responsible for was the western half of the United States. That transformed into a 4 year stent with a local Housing Company where he was blessed to learn an entire new set of skills related to housing, before embarking on a path of entrepreneurship. Professionally, Ray owns an Insurance Agency that specializes in various personal lines including Manufactured Housing and small commercial insurance. 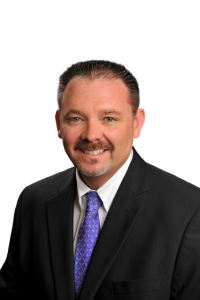 Ray holds 7 different insurance licenses and an advanced insurance designation as a Certified Insurance Counselor. Ray also holds a Mortgage Loan Originators license and a Real Estate license, as well as manufactured housing sales and dealer’s licenses. 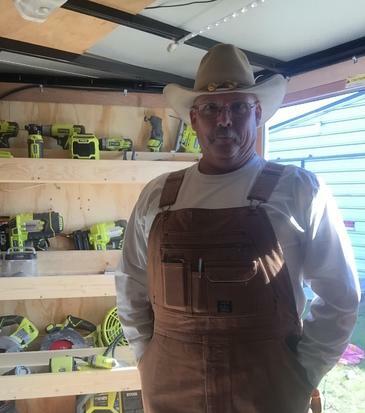 He brings those skill sets and expertise to John Hunter Home Builders customers. Personally, Ray and his wife of 39 years enjoy that same strong Faith in God and love of the outdoors that John and his family do. Ray has owned 2 different ranches locally in the past 15 years and currently fishes bass tournaments with his father and brother. Ron has been in the home building business specifically for over 45 years. We like to say Ron has forgotten more about building a house than most will ever know. He has built, directly and indirectly, 10’s of thousands of houses in his career. Ron brings to John Hunters Home builders relationships with vendors and suppliers, expertise second to no one, and a reputation as one of the premier home builders in the area. Professionally, Ron has worked with several of the large, public home building companies, as well as several local companies. He has been in “field” capacities with these companies, as well as in senior leadership roles. He has also trained and mentored many others in various home building roles, both for administrative and superintendent positions. Personally, Ron is a veteran and we are extremely proud of his service. Ron also enjoys being a grandparent where he gets to spoil his grandchildren and at the same time teach and impart his wisdom to them from the Grandparent perspective. These 3 principles of John Hunter Home Builders have been business associates and friends for many years and individually bring a whole world of knowledge and wisdom to home building that benefit you, the homeowner, in so many ways, when you choose to invest in a John Hunter Home Builders home for you and your family. Jay has been in the housing industry for over 25 years. She brings another level of expertise and skills to our team. 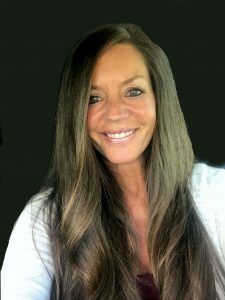 Professionally, Jay has 17 years’ experience as Vice-President in charge of all operations with a local company that she grew from almost nothing to a multi-million dollar organization. Her talents range from multi-family operations, where she over saw the rehab and occupancy of many large apartment complexes in the DFW area, and long history of running the operations of communities and development in manufactured housing and RV parks. Her talents also include a broad range of sales and marketing talents; both practiced and taught. Prior to that she was a Sales Manager with a large, public, vertically integrated company for over 7 years where she was always the top in her field. Personally, Jay is a Certified Professional Life Coach and has extensive Dale Carnegie Leadership training. She is also a committed Mother, Grandmother and Wife with deep spiritual ties. Alongside her husband of many years, they own and operate a free fitness and life coaching program for our military veterans. Jay has joined this team of professionals to help build this company and give you, our customer, the best home for the money that you could get anywhere. Lance grew up in deep East Texas, close to Longview. In high school he took Building Trades 1 and 2 where he learned many aspects of build construction. In 1981, after graduating High School he completed a 4 year apprenticeship program through the Local IBEW and obtained his Journeyman Electrician Certification. Shortly after relocating to the DFW area in 1985 he worked for several years as a Maintenance Supervisor for large apartment complexes. He worked for Electric Avenue, part of Montgomery Wards for several years where he learned refrigeration and appliance repair. He has worked with John Davis for 15+ years, in many different capacities. His primary role is project management, to ensure that things get done the right way and on time. He has many years of experience on everything from building, to managing contractors, to landscaping to maintenance. He has lived in the Joshua area since 1988, and has a huge contact list of folks that perform just about every service imaginable. One of the great things about Lance is that he has been constantly involved in the community, and makes the effort to get to know folks. Lance has 25 years of experience as a Fire Fighter and EMT, and served as the Fire Chief for the North Johnson County Volunteer Fire Department for 15 years. All in all, Lance is a terrific guy to get to know, and helps the company in too many ways to list. Jeff Kelly and John Hunter Home Builders have been doing business for many years. Jeff brings 10 years of Realtor experience and many more years of land development, mortgage and insurance experience to this relationship. Jeff and his team list John Hunter Home Builders homes and represent many buyers as well during their purchase. If you are not represented by another agent, Jeff will list your current home for a discounted rate if you close on a new John Hunter Home Builders home.